How can I add a BCC (blind carbon copy) to my emails? Sometimes you just need to add a BCC to your cold outreach. Here's the simple instruction on how to do this for your Reply emails. Expand the BCC settings section. 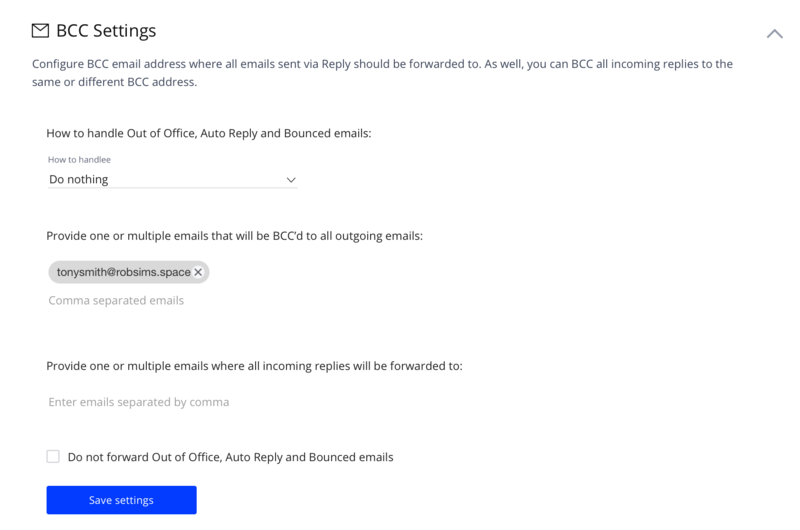 In the Enter emails separated by comma field, enter at least one email address you want to receive BCCs. Press Enter to populate the email address into the field.